In August 2017, Matson signed contracts for the purchase of three new 65 long-ton capacity cranes and modifications to upgrade three existing cranes at its Sand Island Terminal in Honolulu Harbor. 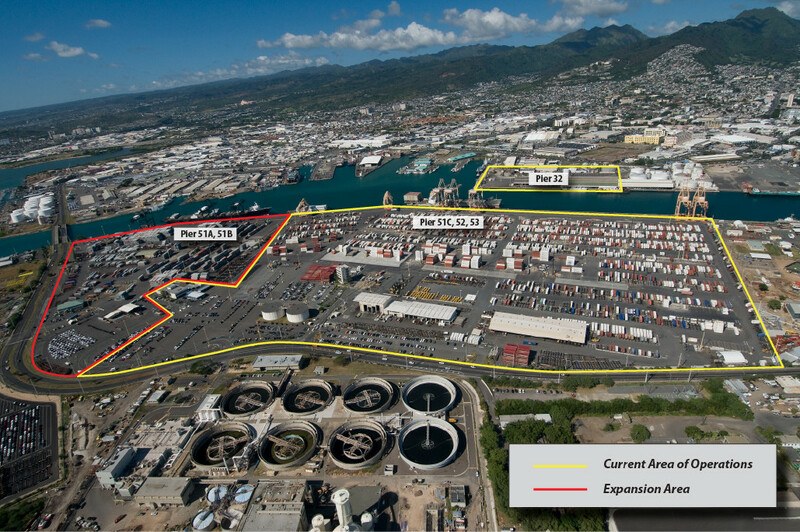 In conjunction with the State of Hawaii’s Harbors Modernization Program, these investments are part of a broader $60 million terminal expansion and modernization program Matson has in progress to prepare its operational hub in Hawaii for the arrival of four new ships, beginning with the newly christened Daniel K. Inouye, in September 2018. Taken together, the terminal modernization project and four new vessels represent an investment of nearly $1 billion in the future of Matson’s operations in Hawaii. Built by Mitsui Engineering & Shipbuilding, the new cranes will have greater lifting capacity, height and reach, which will enable full service of Matson’s larger Aloha Class and Kanaloa Class vessels entering service in 2018, 2019 and 2020. The cranes are more efficient, easier to maintain and will be equipped with fiber-optic cabling, enabling faster and more accurate communication of data used in Matson’s container tracking system. As part of the State’s harbor modernization plan, the relocation of another carrier’s operations will allow Matson to expand its current Sand Island Terminal into Piers 51A and 51B. This 30 percent increase in waterfront space will allow for the integration of Matson’s roll-on, roll-off operations that are currently across the channel at Pier 32. With the new cranes scheduled to be delivered in early 2019, the terminal expansion and improvements to the gate, container yard, electrical system, cargo identification technology and other equipment are expected to be completed in 2020.